All hail the king! 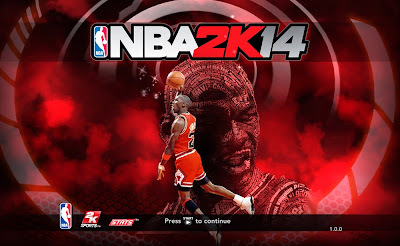 This NBA 2K14 mod replaces the LeBron James' chalk toss picture in the original NBA 2K14 startup loading screen. This is just for fun. Image was cropped from the Harlem Shake Miami Heat edition video. 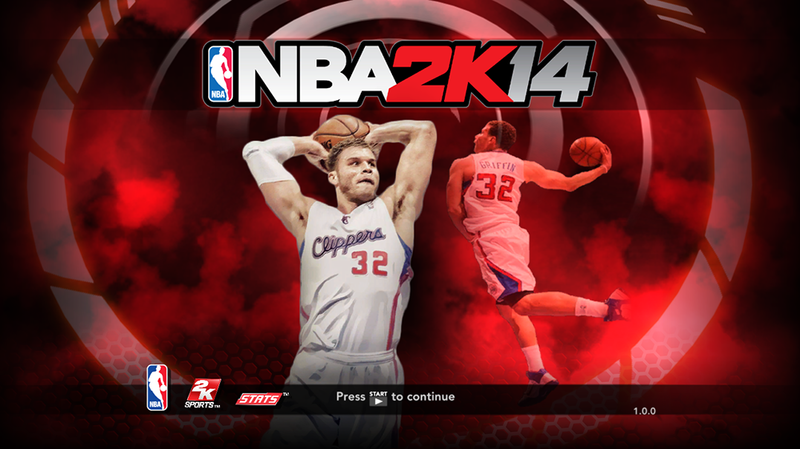 This is a new style loading screen for NBA 2K14, featuring Blake Griffin of the Los Angeles Clippers. 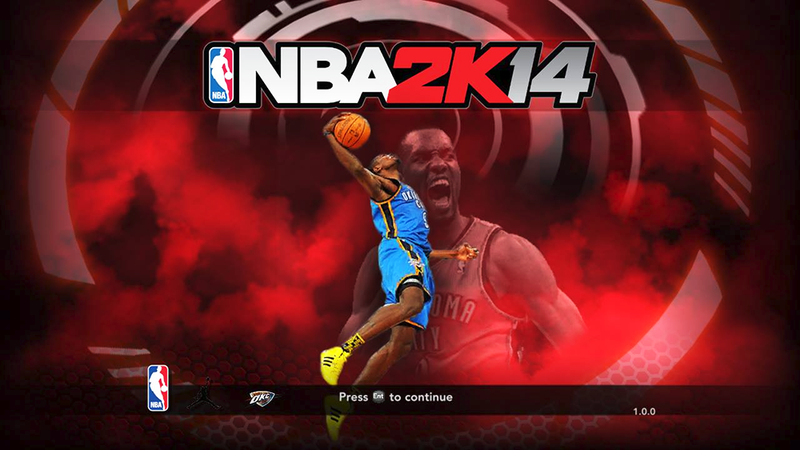 Custom NBA 2K14 PC loading screen featuring Serge Ibaka of the Oklahoma City Thunder. 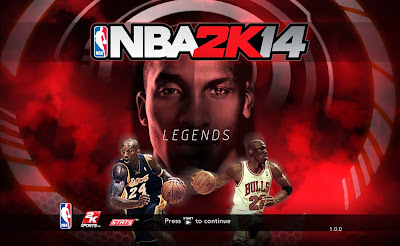 Place the title page file to Program Files \ 2K Sports \ NBA 2K14 to install. 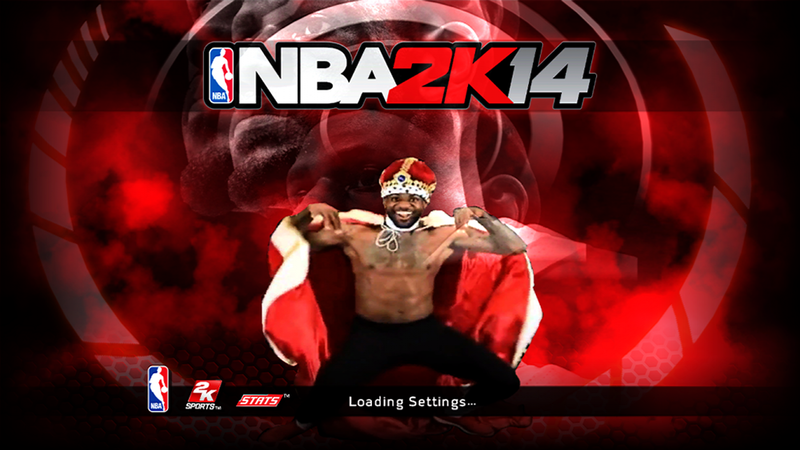 If you're bored with the default NBA 2K14 loading screen and want to see something else than LeBron's face, download this. 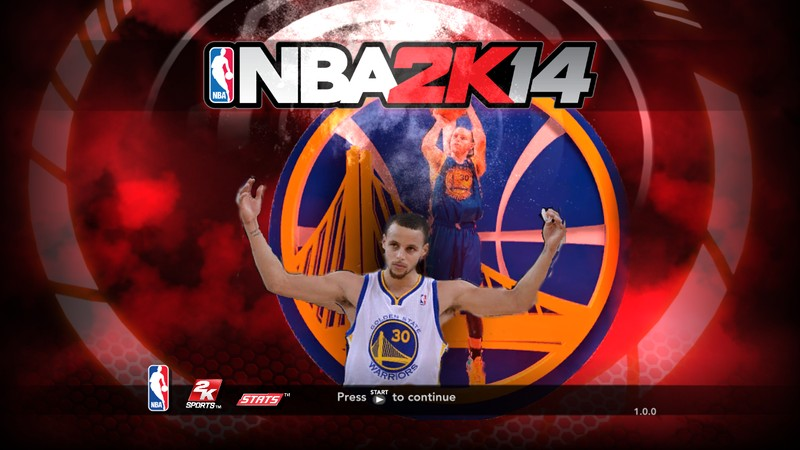 It features Golden State Warriors point-guard Steph Curry. 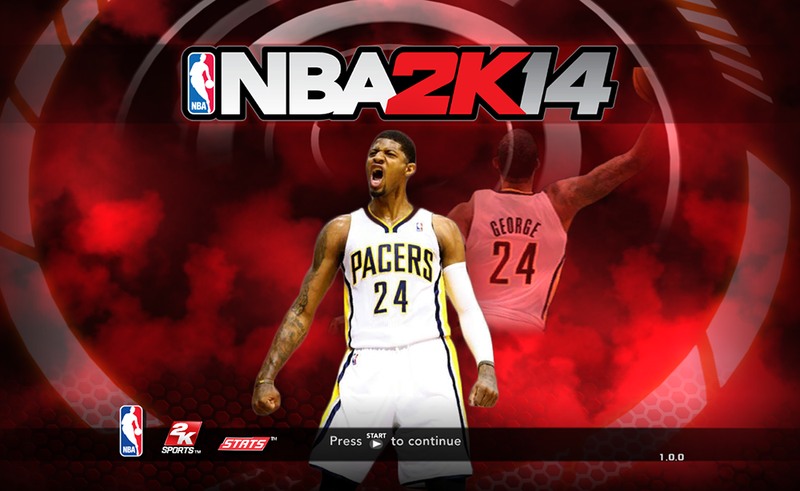 This patch adds a custom NBA 2K14 start-up loading screen, featuring Paul George of the Indiana Pacers. 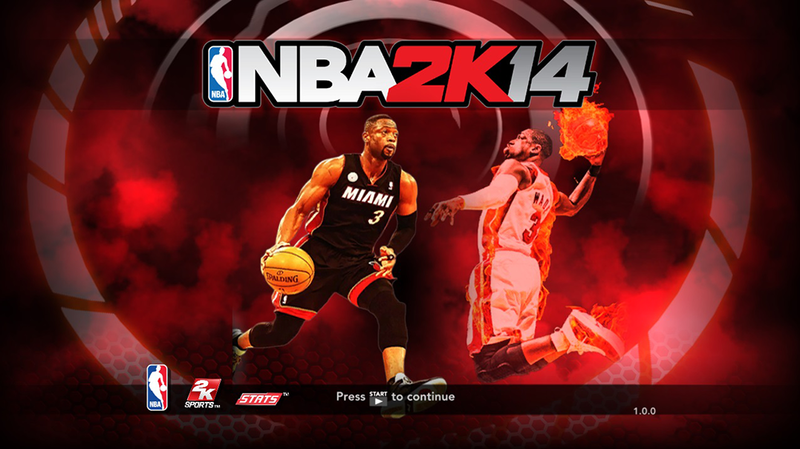 To install simply extract the file and paste it into your NBA 2K14 folder. 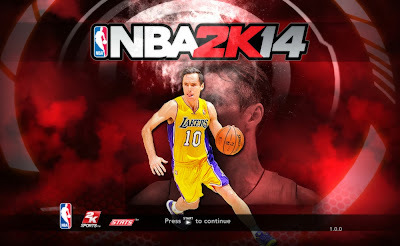 Description: This NBA 2K14 patch adds a custom start-up loading screen for NBA 2K14, featuring Los Angeles Lakers point guard Steve Nash. 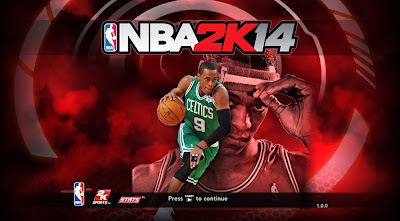 Description: This NBA 2K14 patch adds a new splash screen for NBA 2K14, featuring Boston Celtics point guard Rajon Rondo. 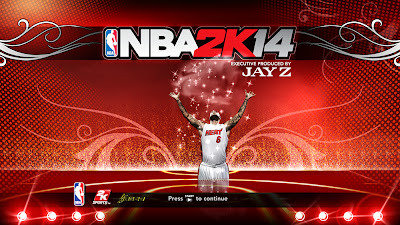 Description: This patch for NBA 2K13 adds a modified title screen featuring LeBron James, cover athlete for NBA 2K14. 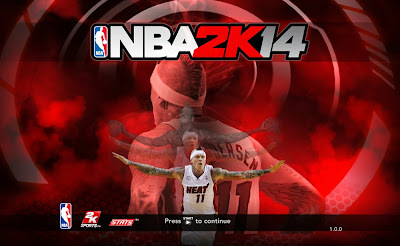 Features: Custom start-up screen ft. King James with NBA 2K14 logo. 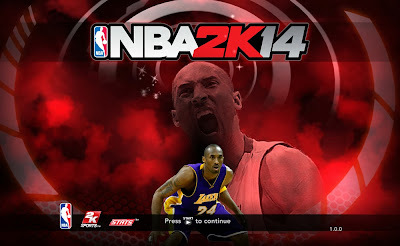 Installation: Extract into NBA 2K13 game folder then overwrite the existing file. 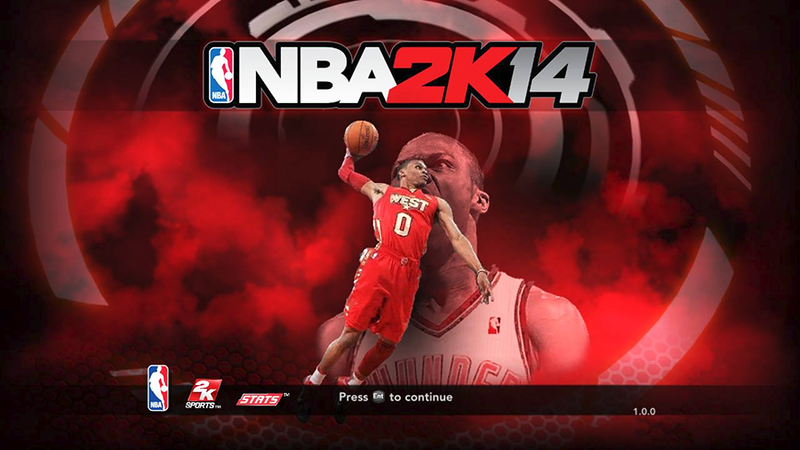 New start-up screen mod for NBA 2K14 PC, featuring Russell Westbrook of the Oklahoma City Thunder. The patch includes two versions: V1 wearing 2011 West All-Star game jersey and V2 wearing home OKC jersey. Choose whichever you prefer. 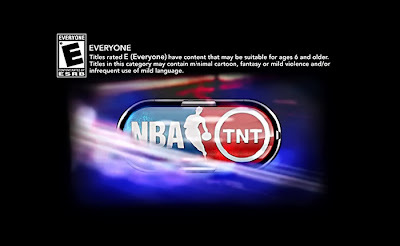 Brand new start-up loading screens for NBA 2K14! Basically, this replaces LeBron James with Dwyane Wade. 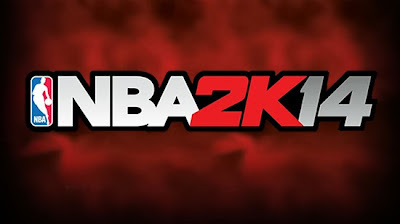 To install simply put the "titlepage" file into the NBA 2K14 folder and overwrite existing file if asked. Hope you like it! 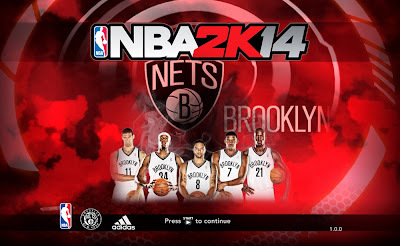 Description: This NBA 2K14 patch changes the default title screen image of the game, showcasing the predicted starting lineup of the Brooklyn Nets for the NBA 2013–14 season: Deron Williams (PG), Joe Johnson (SG), Paul Pierce (SF), Kevin Garnett (PF) and Brook Lopez (C).